Card backgrounds need to add that extra “something” without dominating the central focus or accent of your card. 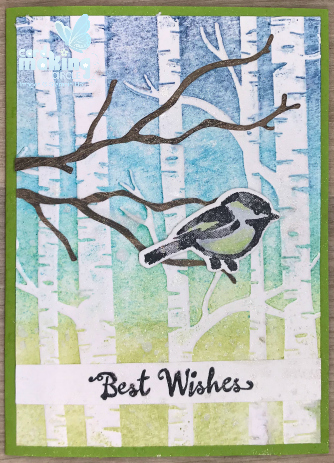 Consider the different colours, textures, card and paper you can use to add interest and dimension. A clean and simple card might look best with a plain uncluttered white background. While a beach scene might look great with ink blending different blues to represent the sky and sea. There is a large choice of background stamps available from scripted writing to wood and marble effects. These are handy for making multiple cards as they can be produced quickly. Especially if you use a stamp positioning tool such as the Stamparatus or Misti. A repeating pattern of stamped images makes a quick background. Ink blending is a great way to create a graduated effect. 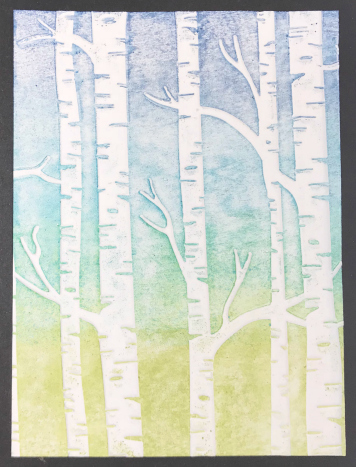 This example uses 3 complementary colours and was blended using a brayer. You could also use a sponge or blending tool for a similar result. The colours are overlapped to help them blend together. Find out more about Ink Blending. 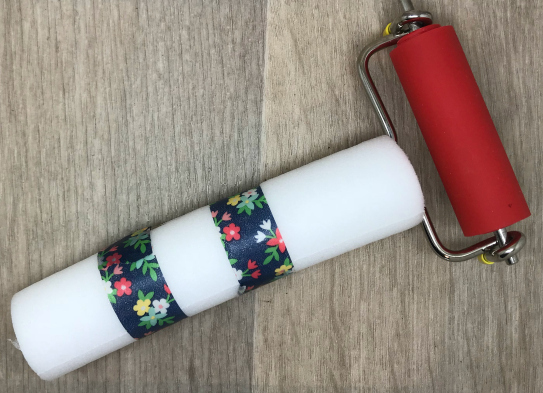 Add Plastazote tubing to a brayer to help with reduced hand function. Secure with strips of tape. 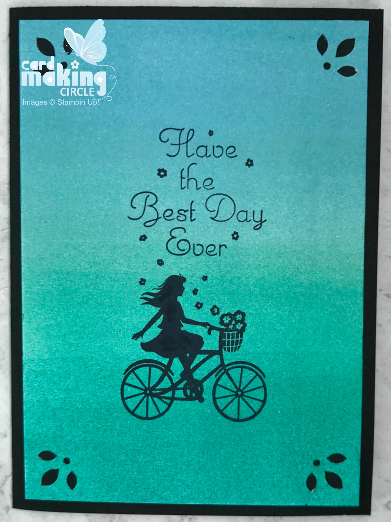 Stencils are widely available in craft stores and are a cost effective way to create a background. The stencil is laid over the card and secured with removable tape to stop it moving around. Gently use either a sponge or a sponge dauber to dab the ink into the spaces. When finished remove the stencil to see your results. 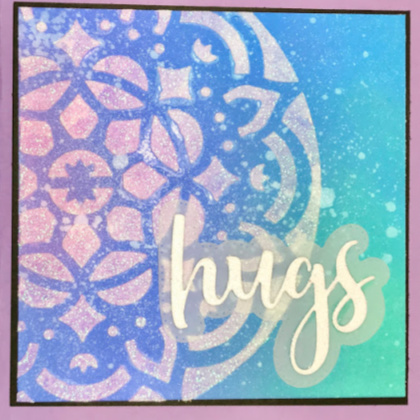 Dry embossing with embossing folders produces a textured background that can either be left plain or stepped up with coloured ink. 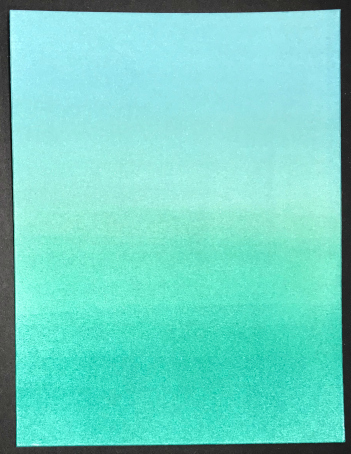 The example below use the brayered ink embossing technique where ink is added to the raised side of the embossing folder. 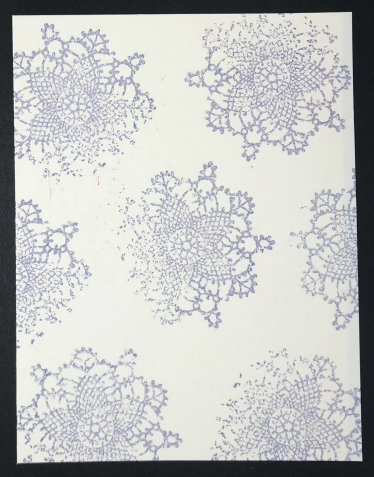 Alternatively, add coloured ink with a sponge dauber to the raised areas onto the card after it has been embossed. This method gives more scope to use a mixture of different colours. This is another simple but effective technique using a large clear acrylic block. Simply tap an ink pad gently over the block. 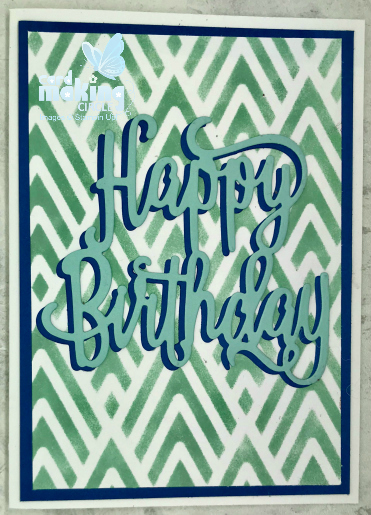 Then use the inked block to stamp on the card. Once dry you can then stamp over the top of your blocked colour. 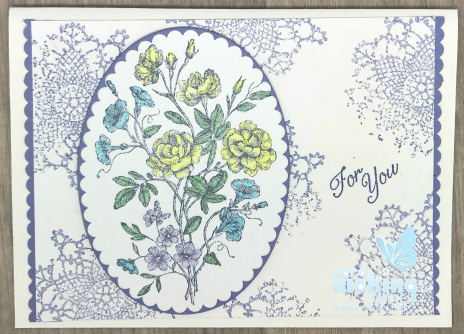 Embossing paste is an easy way to add instant texture to your card. 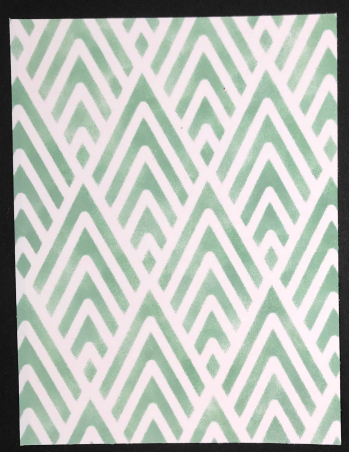 Secure a stencil over your card with removable tape. Apply the paste over the stencil smoothing with a palette knife. 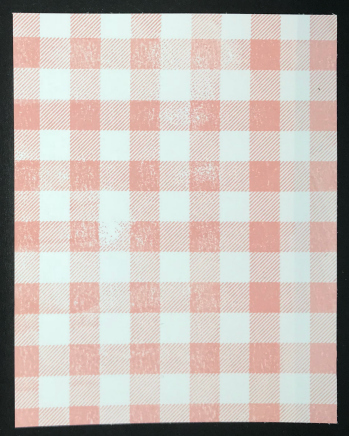 Allow to dry before removing the stencil to reveal your textured card. Add ink to colour your embossing paste. Use either ink from a refill bottle or smear a little ink onto a craft mat and mix with a palette knife.